Use Amethyst Geometry Set 7 Stone during meditation or reiki session to activate all your chakras. It will balance your body, mind, soul and your seven chakras. 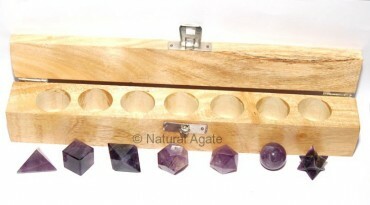 You can avail this set from Natural Agate. It is 16-22mm in size.